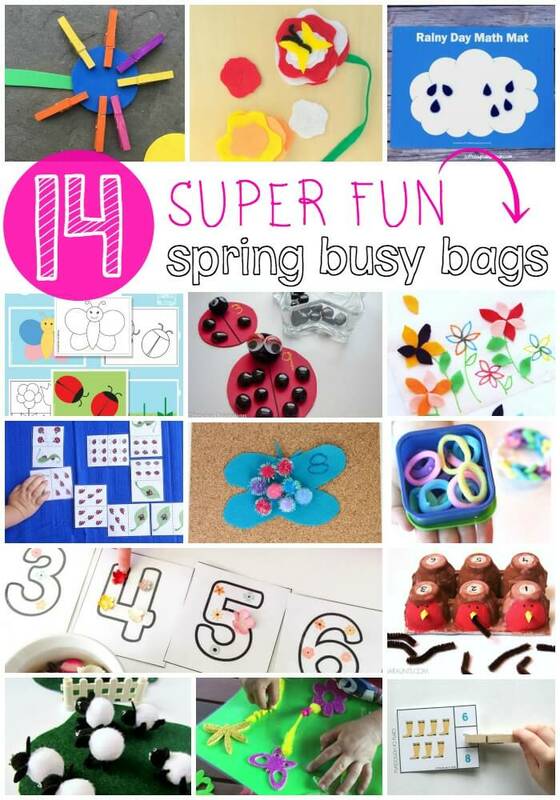 Another month and another fun Busy Bag idea! Last month we shared Rainbow Color and Shape Match Up. 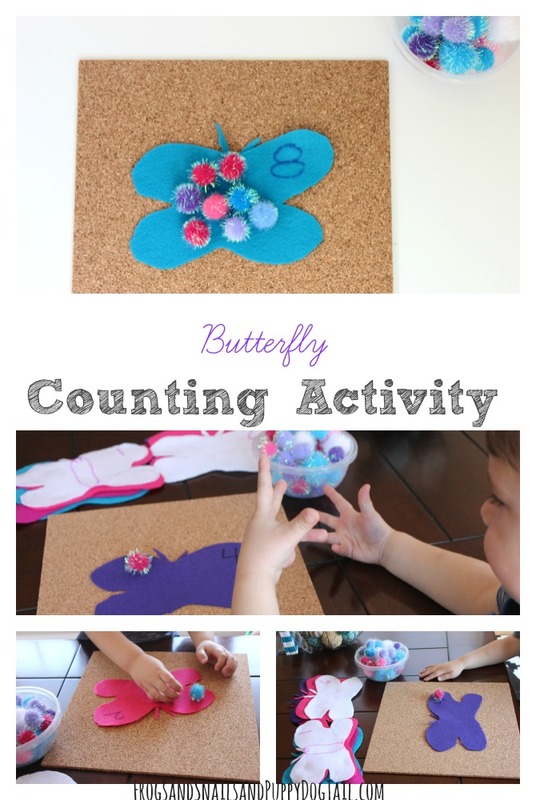 This month we have a Butterfly Counting Activity busy bag to share with you all. I have been having a lot of fun using my stash of felt for these busy bags. I got into it again this month and made some butterflies. I love finding fun ways to get little brother counting. This butterfly busy bag was perfect. Hands on learning is usually a hit at my house. I stacked the five pieces of colored felt. I put one on top of the other. I took my pencil and traced a butterfly out on the white felt. I then cut the butterflies out while still stacked. I was in a hurry so only wanted to cut once. Once I had them cut out I grabbed the sharpies. I wrote out numbers 1-10 on the felt butterflies. I took scrap felt and cut out antennas. I used the hot glue gun to attach the antennas to the butterflies. Now we had our Butterfly Counting Activity ready to go! 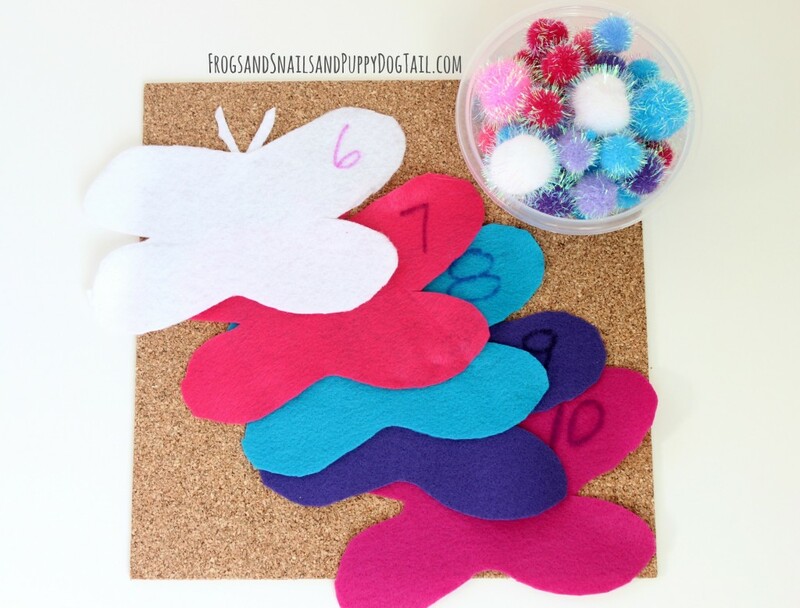 I sat all 10 of the felt butterflies out on the table, a cork board, and a bowl of pom poms. Now little brother sat down to start counting out pom poms to go with his felt butterflies. This is a great activity to use for color matching. 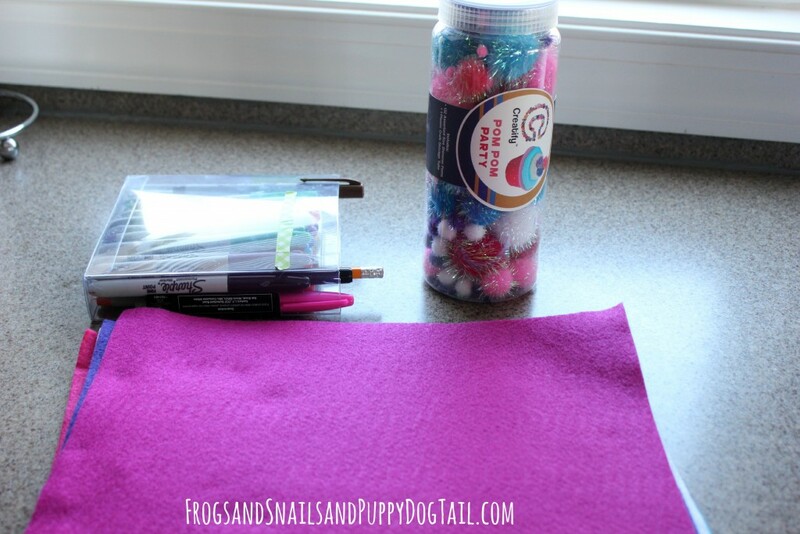 You can also let them make patterns with the felt butterflies and pom poms. I am thinking big brother could use them and do some addition and subtractions problems too. We will try to get as much use out of them as we can. This is perfect for spring!! Thanks for the fun counting activity.